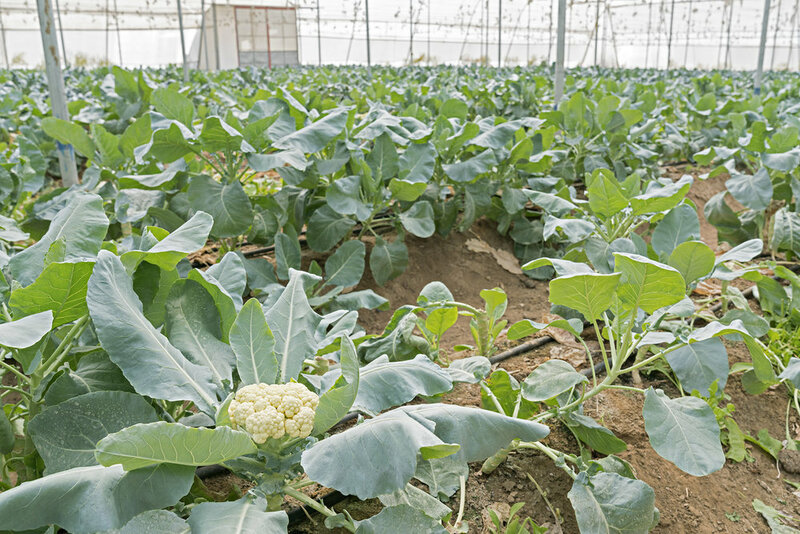 At Dera Amer, we have a commitment to our animals, our workforce, the local environment and its community. Promoting responsible tourism we operate with an eco-sensitive mind set. 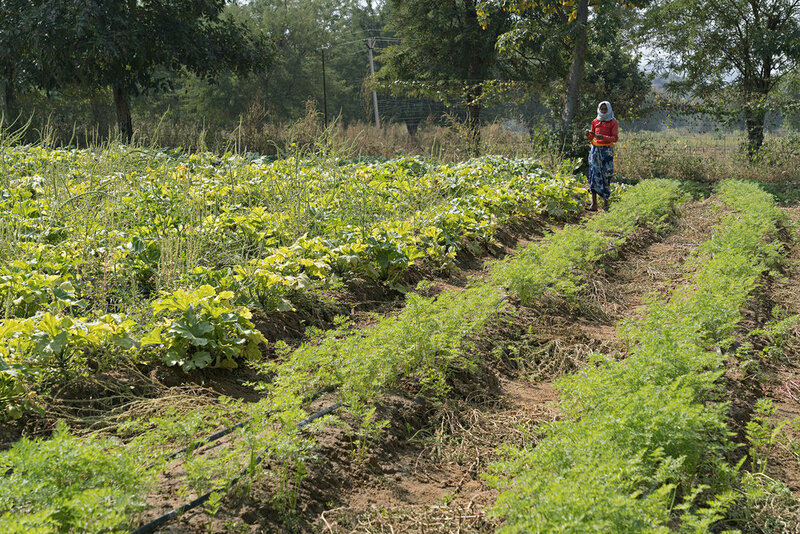 From organic farming practices, including the implementation of solar panelled water pumps and drip irrigation, to our social responsibilities and empowering the local communities, Dera Amer is resolute in creating a positive impact on the environment around us. The very essence of Dera Amer. Our elephants and camels are adopted from Amer Fort and rescued from a life of hard labour. The only time you will ever see a restraint on Laxmi or Rangmala, our resident elephants, is during a visit from the vet! Otherwise, they live in harmony at the camp accompanied by their mahout. 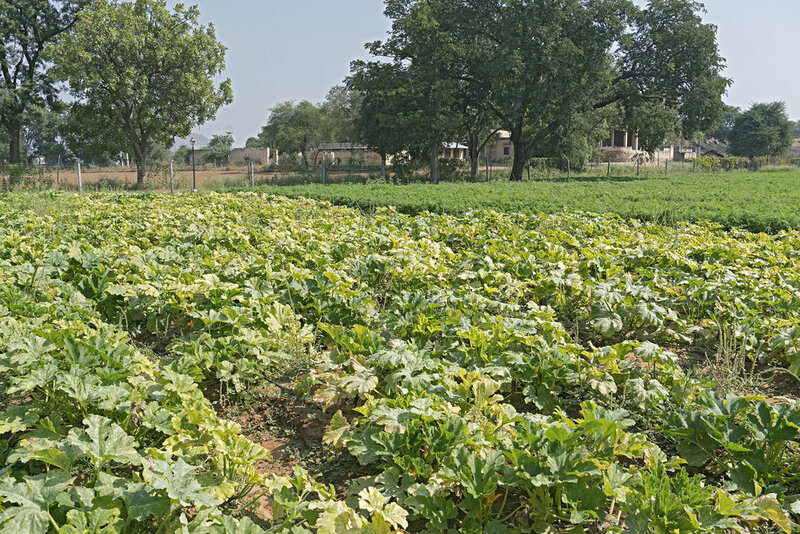 Maintained by local villagers and camp staff Dera Amer’s expanding vegetable plot is entirely organic. 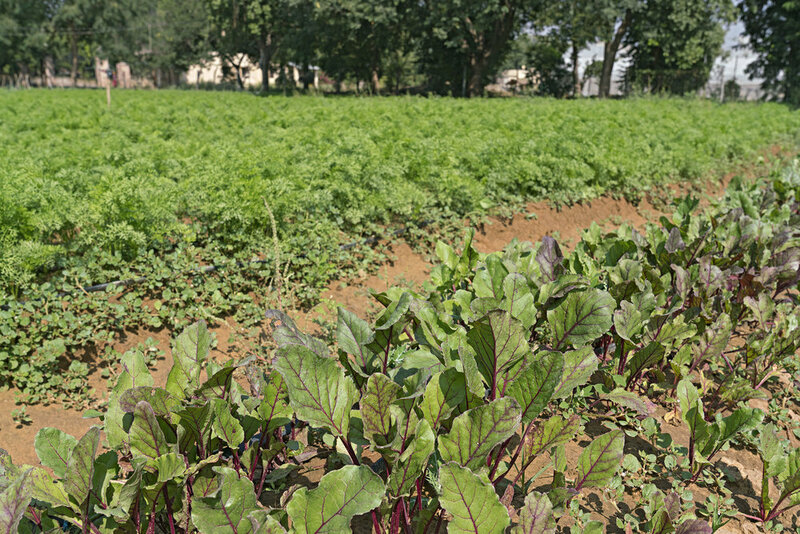 Free from pesticides it is harvested using traditional farming techniques, solar panelled water pumps and drip irrigation. We call them good karma greens. Using two solar-powered water pumps we are able to harness enough natural basin water to keep our lawns green and our vegetables growing. Responsible water consumption is of the utmost importance in the desert state of Rajasthan, and for that reason, Dera Amer does not have a swimming pool.